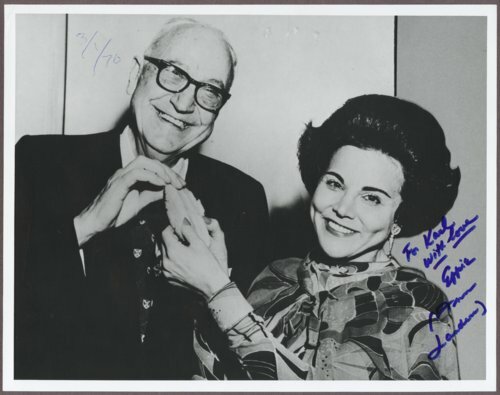 Photograph of Dr. Karl Menninger and Ann Landers (Eppie Lederer) sharing a cookie. A signed letter is attached to the back of the photograph. Eppie Lederer was on the Board of Trustees of the Menninger Foundation and a firm supporter of mental health work. One of the buildings on the Menninger West Campus was named for her in honor of her work.